The evening’s talks at Strathclyde University brought together people from the Irish, Indian and Pakistani communities in Scotland. 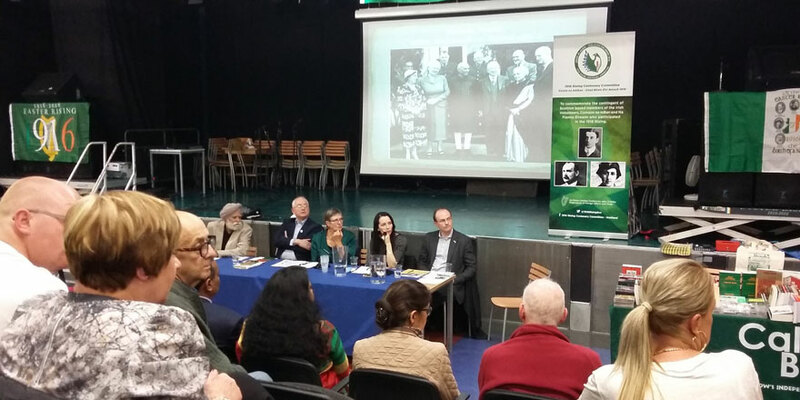 The proceedings were chaired by Maggie Chetty, on behalf of the 1916 Rising Centenary Committee, and opening remarks were made by the Irish Consul General Dr Mark Hanniffy. The Vice Consul General of India, Prem Nath Khare, was in attendance.